Trump only wants to temporarily suspend bringing people into our nation from terror-sponsoring nations while reviewing the way we vet these people. All the liberals go insane. Refugees who were en route to the United States on Friday evening have been detained at U.S. airports and restricted from the country as a result of President Trump’s executive order banning their entry. Lawyers for two Iraqi refugees detained at New York’s John F. Kennedy International Airport filed a middle-of-the-night lawsuit in federal court challenging Trump’s executive order as unconstitutional and seeking the release of their clients. They also are seeking class certification so they may represent all refugees who are being similarly held at U.S. ports of entry. Immigration advocates say at least one refugee family is detained at San Francisco International Airport, but it is not clear how many refugees are currently detained at airports nationwide. 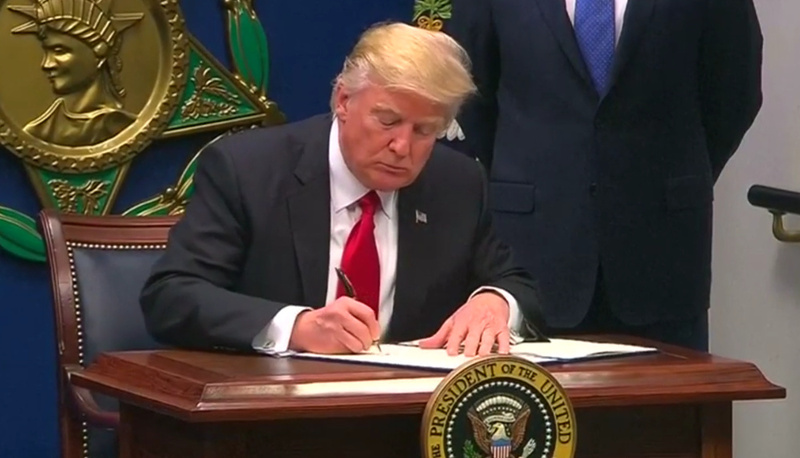 Trump’s executive order suspends admission of all refugees for 120 days and calls for a new system to tighten screening of those seeking entry to the U.S. from predominantly Muslim countries. Trump said that the goal is to screen out “radical Islamic terrorists” and that priority for admission would be given to Christians.